Last night saw the most eagerly awaited race of London 2012 reach its climax and the 100m final did not disappoint. The four fastest men of all time lined up at the start for the first time in Olympic history, but it was Usain Bolt who stole the show. The world has been waiting since Beijing 2008 to see not only if he could win but if he could run faster than before. He did. With a time of 9.63, Bolt broke the Olympic record that he had set in Beijing. His untouchable performance from four years ago was not reproduced, but this race was more impressive than that. 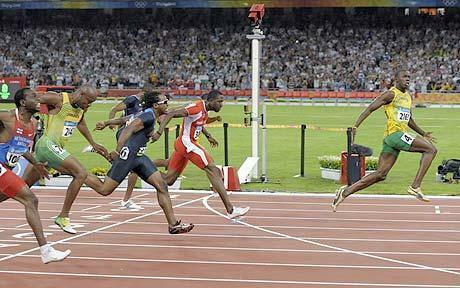 Bolt’s position was under threat and, for the first time, people doubted his ability to defend his Olympic gold medal. The rest of the field had been catching up; this time he had to race. The first seven runners in the final ran under 10 seconds, as everyone attempted to challenge Bolt. They couldn’t. Even with a start that left the 25-year-old level with his rivals, Bolt managed to pull away from the field in prolific fashion. Now the previous doubts appear insignificant, as the Jamaican hero has proved himself once again on the biggest stage of all. The false start at the World Championships in Daegu seems a distant memory. The face of the 100m remains the same. 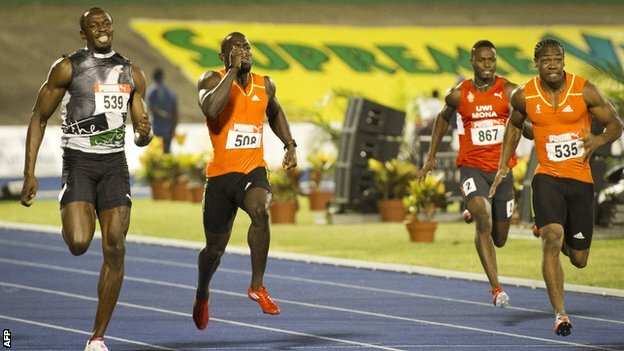 His Jamaican teammate Yohan Blake, was billed as his great rival after beating him this year at the Jamaican Olympic trials. He hasn’t taken Bolt’s crown, but is a worthy successor. At the age of 22, his silver medal and time of 9.75 should worry the rest of the field when planning for Rio 2016. Meanwhile, Bolt says that he aims to compete once again in four years time. He will be 30 years old. Surely then the result will be a different story? Regardless, Bolt’s future will not be a concern. This was his moment. The 200m is still to come but his place as an Olympic legend has already been assured. 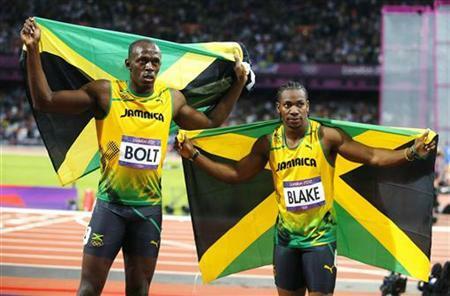 Usain Bolt celebrates his 100m victory with silver medalist Yohan Blake.